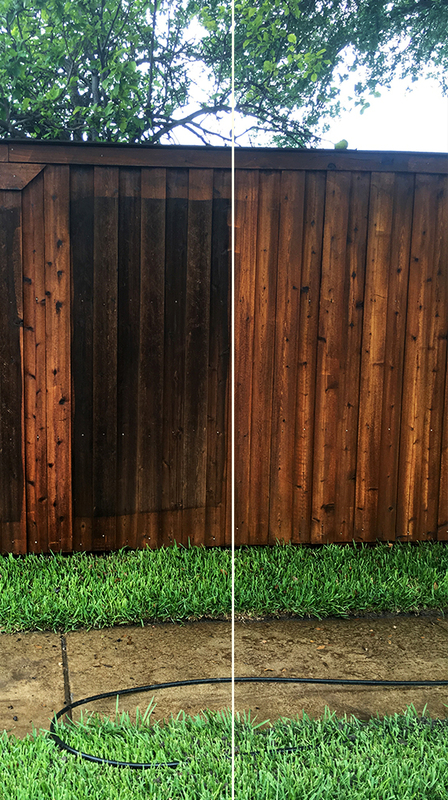 Regularly power washing your walkway, driveways, and sidewalk can add years to their lifespans, as well as increase your homes value if you’re in the market to sell. At Fred’s Handyman of we provide the the best professional and eco friendly pressure washing service to your home in Plano, Texas. Our highly trained and experienced team takes pride in using the latest in power washing equipment to make your surface shine like new. • If your wood deck or vinyl deck looks aged, our handymen can restore it to its original vibrancy and shine. • If you are interested in a DIY power washing approach, we recommend you giving us a call for delicate surface such as stone pavers or aggregate to avoid any major damages. • We power wash all buildings including brick homes and commercial property. For your convenience we offer our power washing services 6 days a week Monday-Saturday and we are fully insured. In addition to Plano we serve Allen, Murphy, Fairview, North Dallas, McKinney, Lucas, Frisco, Fairview, Richardson, Parker, Wylie, Sachse, & Garland.